Megan Slankard and DJ KennyM: Amplified by Bose Portable PA Systems. 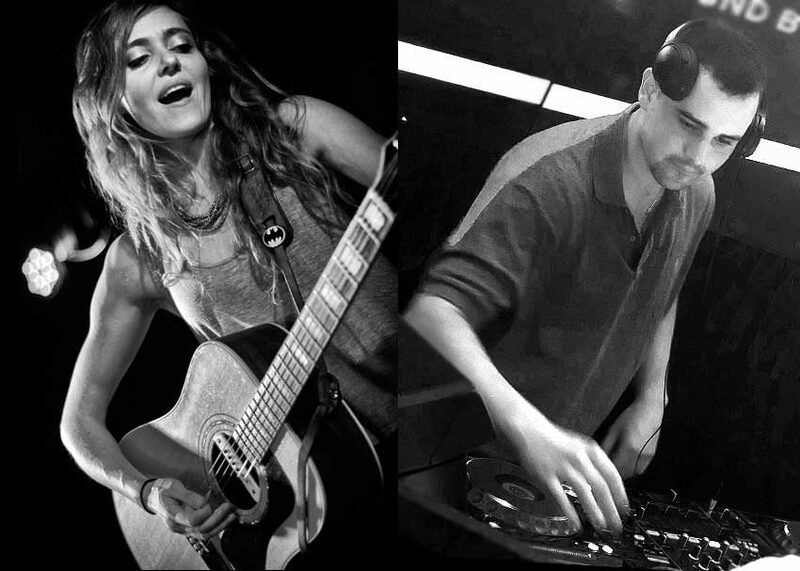 How songwriters and DJs use Bose L1 & F1 systems in the real world. Megan Slankard is a California native, while Kenny Martins hails from New Jersey. She’s a guitar-toting singer-songwriter and indie rocker, while he’s “DJ KennyM” — a producer and DJ who gets crowds dancing with two turntables and a Maschine. But although they come from opposite coasts and different musical traditions, Megan and Kenny both rely on Bose Portable PA systems for their live shows. zZounds sat down with these two road warrior artists to talk gear, and get some tips on how touring musicians and DJs can use Bose L1 and F1 systems in the real world. zZounds: Kenny, tell us about your live DJ rig. Kenny Martins: I have two vintage Technics 1200s turntables, and I use the Pioneer DJM-S9 mixer, which is really cool because it can integrate with Ableton — you can do a lot with loops and cue points, which allows you to get that “producer feel” live. What I’m diving into now is integrating Ableton Live with Serato, which is more traditional DJ software. They’re kind of two different worlds, but I’m trying to mesh them together as the ultimate goal, because that’s why I fell in love with DJing: I think of it as production, live. I have my Native Instruments Maschine hooked up to my computer alongside my DJ setup of the turntables and the S9, so I can DJ — and then, within Ableton, I’ll have certain loops, effects, and samples that I want to use live. I can even create a melody while I’m DJing, playing along to the song using the pads on the Maschine — it’s like a third hand. zZounds: Do you spin vinyl, or do you primarily use your turntables to control Serato? 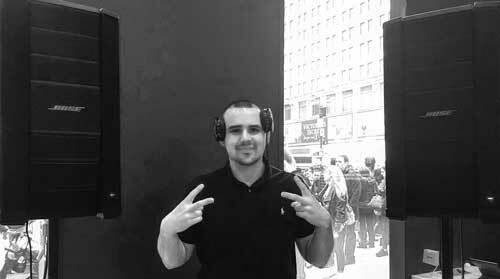 Kenny Martins: Playing live, I use Serato control vinyl. At home, I have 5 or 6 crates of records that I play — but it’s totally a different world, picking up a needle and finding the groove. I don’t think I’m at a level where I can do that live — and I don’t want to carry crates! I do it at home, but live — strictly Serato and timecode vinyl. zZounds: As a mobile DJ, what PA system do you typically bring? Kenny Martins: For weddings, birthday parties, or any sort of private event, I’ve been taking out the Bose F1 system — two subs, two tops. When it’s a smaller corporate gig, I’ll just do two tops — they’re pretty good for smaller events with 30 to 40 people, versus weddings with 150 to 200 people, where I need the subs to give it that extra oomph. They’re lightweight, and very easy to set up — it takes me about 5 minutes to set up because of the integrated stand in the sub. Pop the top right on, do the other side, run cables, and you’re good to go. Kenny Martins and a pair of Bose F1 Model 812 Flexible Array loudspeakers. zZounds: What about when you’re playing in a club? Kenny Martins: Most clubs have their own sound system, but I’ve been doing “Club B” events for Bose, where I bypass that system and bring two Bose F1 tops and F1 subs. Bose is doing these events all over — trying to integrate the F1 systems into nightclubs, just to show the community what these speakers can do. It’s pretty bizarre, because it blows the club’s passive PA system out of the water. Traditionally, passive systems are considered a better rig for a club install, and I was a little nervous the first time we did it, because I didn’t know if they were going to give me that volume, but the F1 system — for the size and portability and ease of use — is just amazing. zZounds: About how many people show up to these Club B events? Kenny Martins: Like 300, 400 and up. You have your dance floor, there’s a pretty large bar, and then there’s outside. So it’s pretty big. zZounds: And you just have a pair of F1 tops with F1 subs, and that’s good for 400 people? Kenny Martins: Yeah — it’s bizarre! And what’s awesome about it, for four speakers, is their coverage. You know, in a typical club install, there’s speakers kind of everywhere. But the way the drivers are set up in the F1s, it covers it. I had a lot of people come up to me, even the bartenders, saying, “My ears don’t hurt from the overbearing loudness.” And someone who’s standing off to the side will hear the same thing as someone right in the middle of the dance floor. The Bose F1 Model 812 Flexible Array Loudspeaker and Bose F1 Subwoofer. zZounds: When you’re set up to DJ, do you have the F1s in front of you or behind you? Kenny Martins: If I have to set up the speakers in front of me, I’ll use an extra F1 top as my monitor so I can hear what’s going on out there. But if I can set up parallel to them, then because of the dispersion, I can hear well enough where I can DJ and not have to have a dedicated monitor. zZounds: Which coverage pattern do you use for your F1s at a club gig? The J shape, the straight, the C shape, the reverse J? Kenny Martins: I do the J, for the most part. At certain clubs, there are people higher up than I am, and then I do the C shape. But for weddings or corporate events, the beautiful thing about the J shape is that people sit down at times. So when they’re sitting down, nothing really changes in what they’re hearing from when they’re standing up to sitting down. It’s amazing what you’re able to do, and the areas you’re able to cover with that flexibility. Megan Slankard: That’s such a good point — there’s less ear fatigue for regular audience members when the sound isn’t always changing. Because if you’re in a quieter spot and you come to a place where it’s louder, it’ll feel like it’s too loud. But if it’s evenly spread across your entire venue, then it’s always going to be a good volume — even for older audience members at weddings. zZounds: Do you ever have audience members come up and ask you what kind of speakers you’re using? Kenny Martins: What’s funny is, lately when I’ve been using the F1s, people actually give me the respect before they hear it. I just did a birthday party this past Saturday, and I had two F1s and one bottom. One gentleman at the hall was like, “Oh, these are Bose? The other guys who come here don’t bring good stuff!” He automatically assumed it was good ’cause it was Bose. But then you also have those gear guys that say, “If it’s not that big, how could it possibly be good?”…until they hear it. So you get both sides. But lately, surprisingly, I’ve been getting a lot of respect just by having the Bose system. zZounds: Megan, you just got back from a tour. What’s the rig you bring with you on the road? 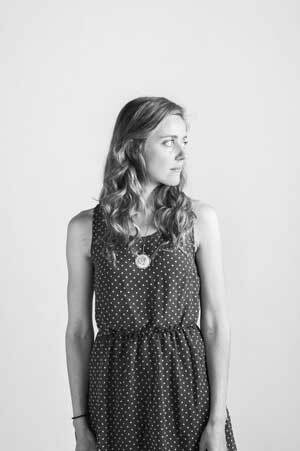 Megan Slankard: On a cross-country tour here in the U.S., I’ll bring a Bose L1 with me. Since it takes up such little space, I literally can fit my entire L1 system, with a B1 bass module, inside the trunk of my car with my suitcase and my guitar. I’ll bring my Guild D-55 acoustic, and a little Tacoma mandolin, and I have an L.R. Baggs Venue DI that I bring, and a Telefunken M80 mic. zZounds: So because you’ve got that L1 system, you don’t have to bring an amp with you? Megan Slankard: You don’t have to bring an amp! zZounds: Which L1 do you use — the Model II, the Model 1S? Megan Slankard: I have the Model II with the T1 ToneMatch mixer, and the B1 bass module. I have a B2 bass module too — but since the B1 fits in my trunk, it’s such a good touring rig. If I do stuff around California, then I’ll take the bigger B2 because it sounds so warm, but they both sound good. Also, not that I’m frail or anything, but I’m a lighter weight sort of person. I’m petite. I can schlep equipment same as the guys, but it is nice, as a woman, to not have to lift heavy speakers on top of speaker stands. I can lift the L1 and I don’t have to rely on anybody — I can do it myself, and that is so empowering. It’s empowering to know how to do sound. Using the Bose T1 ToneMatch has actually taught me a lot about sound — once you get the quick 5-minute lesson on the ToneMatch mixer, it’s amazing how much you can do. I can make my Taylor or my Guild sound perfect in any situation, and pull out any feedback frequencies, all while standing in front of the speaker with the microphone. zZounds: Do you have some go-to presets on your ToneMatch? zZounds: When you’re on stage, do you usually put the ToneMatch next to you near the mic, or do you keep it back on the L1? Megan Slankard: I usually keep it on the L1. Because I can play so close to my L1 and it doesn’t feed back, I can easily reach back and change it, even in the middle of the song. 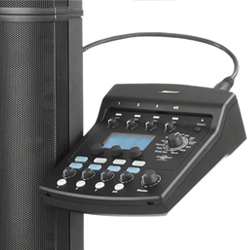 I feel so comfortable with these sound systems — I think the L1s are really built for professional acoustic singer-songwriter types. zZounds: Let’s say you go into a venue where they do have a solid PA system and a good sound person. Do you still bring your Model II? Megan Slankard: If it’s a club I’ve done before, I’ll ask if it’s cool if I bring it in, just because it literally takes 5 minutes to set up. Even though you know you’re going to hit some regular venues that do NOT want you to bring in outside sound, you still bring it, because there are opportunities on every single tour where you’re like, “Oh, I wish I had my L1.” I’ve booked shows across the country where you don’t know the venue. If the club has blown speakers, I can use it. If they don’t have monitors, I can use it. Sometimes there’s no sound person, or the sound person is the same as the bartender. Sometimes you just need a little more control. Also, as an independent songwriter, I do play a lot of private house concerts for audiences anywhere from 50 to 150 people. You just set up your Bose, and you have such control over the way you sound. I feel confident that I can be a professional musician with a professional sound system — and I don’t need a professional full-time sound person, because that’s me! zZounds: Do you ever take a direct out from your L1’s ToneMatch and send that to the main PA — so the sound engineer can send it out to the rest of the bar? Megan Slankard: The Bose Troubadours do that a lot — the Bose Troubadours being Jeff Campbell, Jamie Kent, Matthew Szlachetka, and me. We’ll set up two L1s, and two people will go through each one. It’s really fun — we can have this cool Nashville-style songwriter circle vibe that’s very intimate for us. The way our monitoring system is set up, we have control of what we want to sound like. Then we send it out to the sound people, and they can do whatever they want. zZounds: Do people come up to you after the gig to ask about your Bose system? The cool thing is, I have the Model II, but you can go smaller with the L1 Compact, or go bigger with some F1s. There’s so much flexibility, depending on your audience or what your needs are. For me, this is what I do for a living. This is my job, and I want to sound like it’s my job — so I need a professional sound system that is easy, that sounds amazing, and that represents what I do. My first sound system was great, but compared to this, it sounded like I was playing with a pillow over my head because it was so muffled. This is so crisp and clear. It’s important because I spend so much time writing the lyrics, and I want people to hear them! I always used to have this complaint: “You don’t enunciate.” But now I don’t get that anymore, because I can actually control the way I sound.